BMX pro Nigel Sylvester and Jordan Brand have teamed up to officially release an upcoming Air Jordan 1 collaboration set to release early September. Dressed in a Sail, Varsity Red, Reflect Silver, and White color scheme. The shoe features a Cream leather upper with Black nylon on the tongue, and Red branding. Added detailing includes Mini Swoosh logos stitched on the lateral toe with scuffs seen on the heel, toe, and ankle area. Each pair has its own unique hand-distressing. Look for the Nigel Sylvester x Air Jordan 1 Retro High OG to release on September 1st at select Jordan Brand retailers and Nike.com. The retail price tag is set at $180 USD. UPDATE: Nike releases official photos of Nigel Sylvester’s Air Jordan 1. UPDATE: Jordan Brand has confirmed that Nigel Sylvester’s Air Jordan 1 will release on Saturday, September 1st. As the brand unveiled release details, they also shared their photo shoot with the BMX rider at this old stomping grounds. They also sat down for an interview on the design process of his Air Jordan 1. You can read the full article here. UPDATE: Nike has unveiled the Nigel Sylvester x Air Jordan 1 collab. 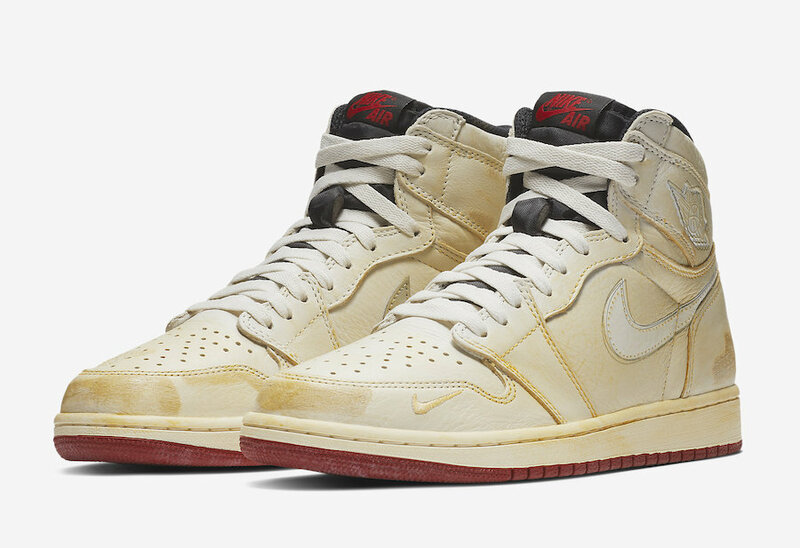 The shoe comes with a pre-distressed look across the upper, along with the “JORDAN BIKING CO., EST. 2017” branding stamped in White on the inner ankle collar, and 3M Reflective medial Nike Swoosh. 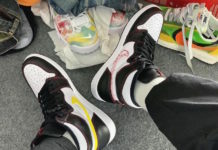 UPDATE: Nigel Sylvester has officially given us a first look at his upcoming Air Jordan 1 collaboration. The shoe features a Cream leather upper with Black nylon on the tongue, and Red branding. Added detailing includes Mini Swoosh logos stitched on the lateral toe with scuffs seen on the heel, toe, and ankle area. Originally set to release in September, Nigel Sylvester’s Air Jordan 1 Retro High OG will now release on September 1st.